“This solution allows the financial institution to 100% independently define its business model, thus solving the current barriers we are facing with current SE-based NFC solutions,” Carlos Alberto Pérez Lafuente, director of innovation for e-strategy and management at Bankinter, has told NFC World. Spanish banking group Bankinter has developed an NFC payments solution that works without a secure element, potentially cutting out both mobile network operators and over-the-top players like Google from the NFC payments business. “Bankinter is developing an innovative mobile-based payment solution that allows customers to securely and instantly create a one time use debit or credit card on their mobile phone both for contactless payments in stores, restaurants or gas stations as well as online,” the bank explains. “One of the characteristics of this new system is simplicity. Customers are invited to download an application onto their smartphone from an application store and then register the product through the bank’s website. Using electronic signature mechanisms, the mobile is enabled for mobile payments in few minutes. “During the process, a companion to the customer’s physical credit or debit cards will be temporarily downloaded to the user’s mobile phone. The solution makes use of secure virtualization techniques and two-factor authentication, which ensures payment security. “Based on well established EMV standards, this solution does not require any changes to the existing acceptance infrastructure (POS terminals) for NFC proximity payments. It also allows the bank to autonomously define its own business model and brand image in mobile payment media, without entering into an agreement with third parties. 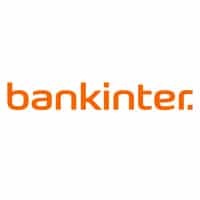 The technology is being developed by Bankinter in collaboration with Visa Europe, Net1 UEPS Technologies and Seglan and will be available in summer 2013.